Senator Elizabeth Warren, Democrat of Massachusetts. Donald Trump is not the only American politician with a big following in Russia. Massachusetts’ own Democratic US Senator Elizabeth Warren is also a favorite in St. Petersburg — but for all the wrong reasons. It turns out that Warren is a popular target of Russian Twitter trolls, who cranked out hundreds of hostile messages about her last year. A handful of others sing her praises. All this emerges from a treasure trove of trash talk generated by the Internet Research Agency, a Kremlin-backed outfit in St. Petersburg that tampered with US elections by remote control. Three million of these Russian tweets, transmitted between mid-June of 2015 and May 2018, were captured by researchers at Clemson University in South Carolina, who organized and released them for wider reading. I’ve been searching the 2017 tweets, about a million in all, and the experience has left me more convinced than ever that reading Twitter is largely a waste of time. But it has also convinced me that no amount of technology can neutralize this sort of political sabotage. Warren, who declined to comment on the matter, isn’t the only New England politician to earn the wrath of the Russians. Vermont Senator Bernie Sanders got hit hard, too. I found about 700 tweets mentioning his full name, compared to the 560 that came up when I typed “Elizabeth Warren.” Then again, Warren gets another 400 mentions if you search under “Pocahontas,” Trump’s nasty nickname for the senator. These messages read more like Joe Sixpack than Boris Badenov. How do we know they really came from Russia? Because Twitter says so. The company spent months looking for clues, like the digital addresses from which the messages were sent. Time and again, they found messages from certain accounts had originated in St. Petersburg, in the dead of night in the United States but during broad daylight in Russia. Twitter late last year closed about 2,800 such accounts and revealed the account names to the US Congress. Since then, Twitter has identified another 1,000 or so Russian accounts and killed them, too. The tweets from these accounts were copied to a research database at Clemson, where faculty members Darren Linvill and Patrick Warren found them. Linvill and Warren (no relation to the senator) sorted the Twitter accounts into several categories, including more than 600 trolls who sent messages seeking to build up Trump and other right-wing politicians, and 230 who talked up left-wing causes. While the right gets most of the love, the Russians are happily playing both sides of the street. 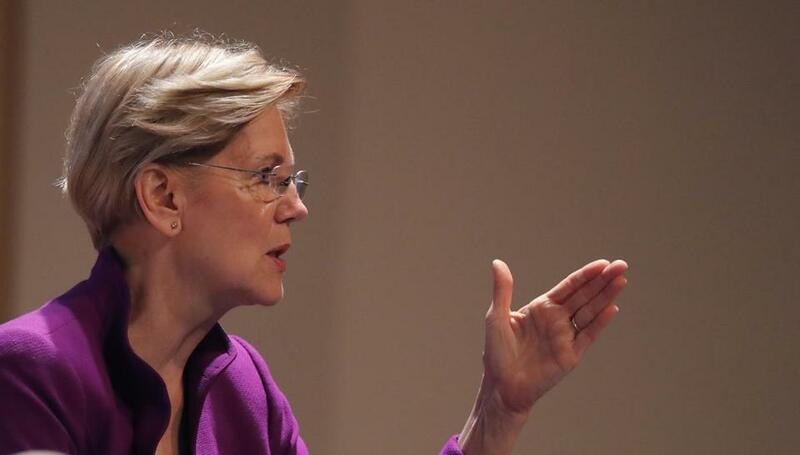 They served up a burst of pro-Warren tweets last February, after she was chastened on the floor of the Senate by majority leader Mitch McConnell. And I found about 100 tweets praising Bernie Sanders for standing up for veterans and against big pharmaceutical companies. Can’t the Russians make up their minds? They have, according to Boston’s former chief information officer Jascha Franklin-Hodge. He said that by boosting both sides, Russia generates political chaos, and chaos always favors Trump. Special counsel Robert Mueller has indicted the Internet Research Agency and 25 Russian nationals for interfering with the US election. That’s unlikely to stop Russia’s Twitter trickery. Going forward, the Russians could use virtual private networks to disguise the sources of the messages, and send them at more plausible times of day. With enough effort, the Russians can make it extremely tough to identify the next wave of trolls. Besides, hurling insults on Twitter is just one page in the Russian playbook. According to Camille Francois, research and analysis director at Graphika , a social media consulting firm, Russia also uses Twitter to spread embarrassing information that it steals from political campaigns, like the e-mails swiped from the Democrats in 2016. Francois said the hackers not only steal sensitive campaign data, but also personal information that can be used to set up phony social media accounts on Facebook and Twitter. These accounts then broadcast the stolen information across the Internet, ensuring that it goes viral. “You steal some e-mails, you pretend they’re leaks, and then you organize a campaign . . . to make sure everybody is talking about the information you stole,” Francois said. This makes Twitter merely the final stage in a supply chain for malignant propaganda, one that begins with hackers and identity thieves in St. Petersburg and ends with deceptive, dishonest messages popping up on our smartphones. So it doesn’t matter to the Russian trolls whether Elizabeth Warren retains her Senate seat in the November election. Either way, the trolls win.